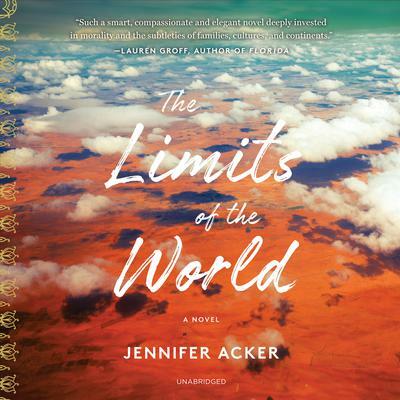 The Limits of the World - Audiobook | Listen Instantly! The Chandaria family—emigrants from the Indian-enclave of Nairobi—have managed to flourish in America. Premchand, the father, is a doctor who has worked doggedly to grow his practice and give his family security; his wife, Urmila, runs a business importing artisanal Kenyan crafts; and their son, Sunil, after quitting the pre-med track, has gotten accepted to a PhD program in philosophy at Harvard. But the parents have kept a very important secret from Sunil: his cousin, Bimal, is actually his older brother. And when this previously hidden history is revealed by an unforeseen accident, and the entire family is forced to return to Nairobi, Sunil reveals his own well-kept, explosive secret: his Jewish-American girlfriend, who has accompanied him to Kenya, is, in fact, already his wife. Spanning four generations and three continents, The Limits of the World illuminates the vast mosaic of cultural divisions and ethical considerations that shape the ways in which we judge one another’s actions. A dazzling debut novel—written with rare empathy and insight—it is a powerful depiction of how we prevent ourselves, unwittingly and otherwise, from understanding the people we are closest to. Jennifer Acker is founder and editor-in-chief of The Common. She has an MFA from the Bennington Writing Seminars. Her short stories have been published in n+1, Guernica, and the Literary Review, among others. Translations and essays have appeared or are forthcoming in Slate, VQR, Harper’s, Ploughshares, the Millions, the New Inquiry, and the San Francisco Chronicle. Acker teaches at Amherst College, and she was a Faculty Fellow at NYU, Abu Dhabi. She lives in western Massachusetts. Priya Ayyar is an audiobook narrator, actor, and writer with a BFA and MFA from NYU’s Tisch School of the Arts. Her acting credits for television and film include Law & Order: Criminal Intent, All My Children, and the documentary The Children of War. She has appeared on stage in War of the Unheard, Aminta, and The Road Home, and she has written and performed in the plays Karmic Fusion and Losing Remote Control. Ron Butler is a Los Angeles–based actor, Earphones Award–winning audiobook narrator, and voice artist with over a hundred film and television credits. Most kids will recognize him from the three seasons he spent on Nickelodeon’s True Jackson, VP. He works regularly as a commercial and animation voice-over artist and has voiced a wide variety of audiobooks. He is a member of the Atlantic Theater Company and an Independent Filmmaker Project Award winner for his work in the HBO film Everyday People.